Current roller coaster at Adventure World. Abyss 10/10 – Great attraction. It's a coaster that terrified me for a long time before getting on it. 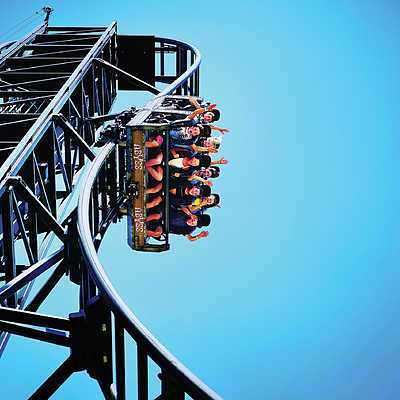 As soon as you go down the first drop you immediately loose your fear to pure enjoyment, quite the adrenaline rush. The ride certainly lives up to the hype it was given, however I find the theming a little vague and while they put great effort into it (aesthetically) I can't seem to pick up the story. It does work a lot better now that it's section of the park has also been given a spooky theme now. The drop give the experience of free fall with a little extra as it curves under the 100° drop. The 4.5 g's as you hit the bottom of the drop pushes you back into your seat. Great hang time on the first 2 inversions and an excellent ejector airtime hill with a headchopper element. The indoor section has a few shocks. The track was unbelievably smooth, absolutely no rattle and the over the shoulder bars are not tight on you which gives a greater sense of freedom (altho lap bars would be better). The back seat does experience more movement then the front but it's not uncomfortable, just more intense. The ride feels rather balanced as it is neatly arranged into 3 sections separated by block breaks, these do not subtract from the ride experience as the car comes into the breaks at a slower speed each time (as the break sections are elevated), rather then being slowed down from high speed. 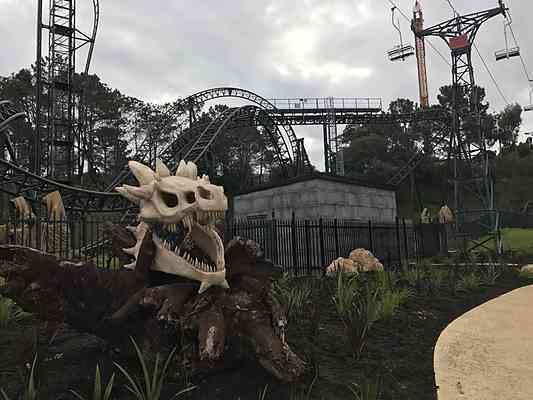 Aesthetically the theming was great, it looks the part and as of recently now fits in with the other attractions and theming of it's section of the park (particularly on fright nights) however more work could have been put into the actual story regarding the theme. As the ride is still relatively new and is one of the parks prised possessions the ride is always in great condition with no damages, rust or paint fading that I have seen.